Assuming you have two unequal WAN links from an ISP, one of the options available to you to is the configuration of automatic failover. This ensures that control is switched to the secondary link whenever the primary goes down. As good as this option is, most companies do not want to pay for a link whose usage is tied to the failure of another. 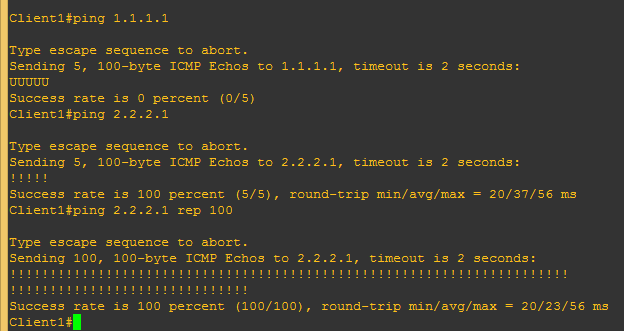 Not now that ISPs can guarantee 96% uptime. If you find yourself in a similar situation, one of the options available to you is path control, which is what I want to share in this post. In this demonstration, I will configure path control to distribute packets across two ISP links and automate fail-overs using route-map. 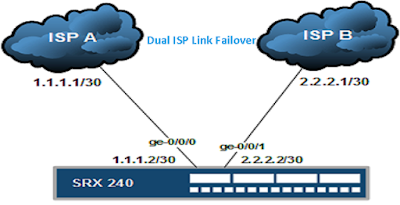 The main objective of this lab is to achieve load balancing and automatic fail-over across two unequal WAN links. To achieve path control, I will be using access-lists to divide users into two main groups based on their source IP, then use route-maps to capture these access-lists and route them out via a chosen ISP. Since both links are unequal, more users will go through ISP1 than ISP2. 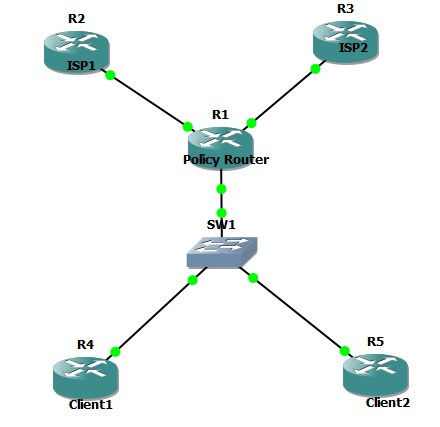 This lab will be implemented on Gns3. Finally, I will shut down ISP1 to see of cleint1’s packets will go through ISP2. See result below. 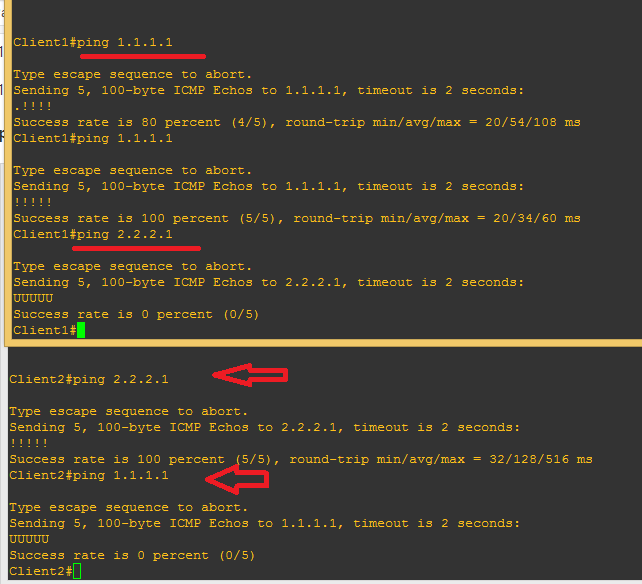 Image showing client1’s packets being routed out through ISP2 as ISP1 becomes unreachable. We can see from the image that as ISP1 becomes unreachable, client1’s packets are now being sent out via ISP2. That is it guys. If you have troubles implementing this lab and need clarification, kindly drop a comment. Please like my Facebook page, follow me on Twitter handle and subscribe to my YouTube channel.